Holliday Fenoglio Fowler, L.P. (HFF) announces today it has advised on the formation of a programmatic joint venture between Baptist Health South Florida, the largest not-for-profit healthcare organization in the region, and Belmont Village Senior Living, a nationally recognized luxury senior housing provider, to develop, own and operate senior housing communities in South Florida. HFF also advised the new partners on their first development site acquisition. The venture is launching with the creation of a community close to the Shops at Merrick Park in downtown Coral Gables. 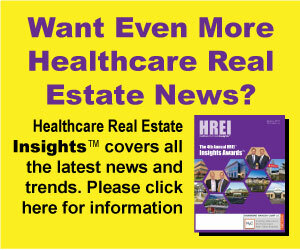 The project will be located at 250 Bird Road, a 2.83-acre city block, which was acquired by Baptist Health South Florida. The community, which will be named Belmont Village Coral Gables, will offer independent living, assisted living and memory care units. Construction is projected to start in mid-2020 and will be complete within two years of commencement. Belmont Village will manage the development and operation of the community. The area initially targeted by the partnership will include Miami-Dade, Broward, Palm Beach, and Monroe counties. The HFF team advising Baptist Health South Florida included executive managing director Manuel de Zárraga, senior director Maurice Habif and associate Ted Taylor. Baptist Health South Florida is the largest healthcare organization in the region, with 10 hospitals (Baptist Hospital, Baptist Children’s Hospital, Bethesda Hospital East, Bethesda Hospital West, Doctors Hospital, Fishermen’s Community Hospital, Homestead Hospital, Mariners Hospital, South Miami Hospital and West Kendall Baptist Hospital), more than 40 physician practices, 50 outpatient and urgent care facilities, Baptist Health Medical Group, Baptist Health Quality Network and internationally renowned centers of excellence spanning across Monroe, Miami-Dade, Broward and Palm Beach counties. 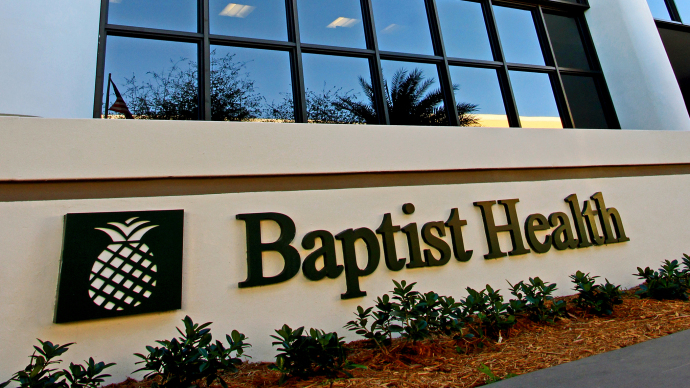 A not-for-profit organization supported by philanthropy and committed to its faith-based charitable mission of medical excellence, Baptist Health has more than 19,500 employees and more than 3,000 affiliated physicians. Baptist Health South Florida has been recognized by Fortune as one of the 100 Best Companies to Work for in America and by Ethisphere as one of the World’s Most Ethical Companies. For more information, visit http://BaptistHealth.net/newsroom and connect with us on Facebook at facebook.com/BaptistHealthSF and on Twitter and Instagram @BaptistHealthSF. Belmont Village Senior Living is a fully integrated developer, owner and operator of high quality seniors housing communities. The company is a premier provider of independent living, assisted living and award-winning memory care in major market areas. Currently Belmont Village has 29 operating properties, comprising approximately 4,000 units in seven states and Mexico City. Projects under construction and projected to open in 2019 include Belmont Village Lincoln Park in Chicago and Belmont Village Fort Lauderdale. Belmont Village communities are acclaimed for their high safety standards, attractive locations and distinctive architecture; each building is custom designed to complement and enhance its surrounding community. Belmont Village provides residents with innovative programs and services that are backed by best-in-class research and best practices, as well as around the clock support from highly trained staff members. In 2018, Belmont Village was certified as a Great Place to Work and ranked 15th on FORTUNE Magazine’s Top 50 Best Workplaces in Aging Services list. For more information, please visit www.belmontvillage.com.